The land of Israel is known as many things to many people. It is called the Holy Land, the “land flowing with milk and honey,” the start-up nation, and many other names. Israel is well known for its produce, amazing scenery, technology sector, scientific advances and much, much more. What many people do not know about are the many non-profit organizations dedicated to providing services and programs to individuals with special needs. Following the Jewish precept of “love your fellow as yourself,” Israel has hundreds of organizations providing medical services, therapy, recreational activities, advocacy, and residential options for individuals with special needs. While we could not include all of these organizations, we would like to provide you with a sampling of some the amazing organizations to give you an idea of what is available to individuals with special needs living in Israel. If you know of an amazing special needs organization, please share it with us in the comment section below. ALEH believes that every child, regardless of the severity of the physical or cognitive disability, has the right to benefit from the best available care in order to reach his or her fullest potential. This steadfast commitment has changed the face of rehabilitative care in Israel. Today, over 650 children with cognitive and physical disabilities receive state-of-the-art medical, educational and rehabilitative care in ALEH’s four facilities. In addition, ALEH provides thousands of outpatient treatments annually. Without ALEH, many of these children would be forced to spend their lives in hospitals, with no opportunities for rehabilitation, education and the love and warmth of a home. Beit Issie Shapiro is Israel’s leading organization that develops and provides innovative therapies and services for children with disabilities and their families. They also play a leading role in promoting the inclusion of people with disabilities in society. Beit Issie Shapiro helps over 30,000 people every year and are proud to have been named Israel’s most effective nonprofit in 2011 by efficiency monitor Midot, as well as granted ‘Special Consultative Status’ by the United Nations Economic and Social Council (ECOSOC). Chimes Israel is a nonprofit organization, working to improve the quality of life of individuals with special needs, by developing and providing a variety of high-quality professional services. For over 20 years, Chimes Israel has been the leader in providing exceptional support and rehabilitation services to people with special needs of all ages, from newborns to seniors, with intellectual, developmental and mental disabilities, regardless of race, nationality or religion. Opening in 1991 with just one sheltered workshop in Tel Aviv, serving 80 adults with special needs, Chimes Israel expanded its services and today offers over 1,200 clients and their families a continuum of services in more than twenty facilities and programs and employs close to 450 full and part-time staff and 170 volunteers. Accolades: With over 79 locations worldwide the Friendship Circle has cultivated friendships between 5,000 special children and close to 11,000 teen volunteers. Individuals with special needs are often socially isolated. Mainstream adolescents often lack meaningful focus and sense of purpose. Forging lifelong friendships and socialization between the two solves both problems while fostering a more sensitive and elevated society. 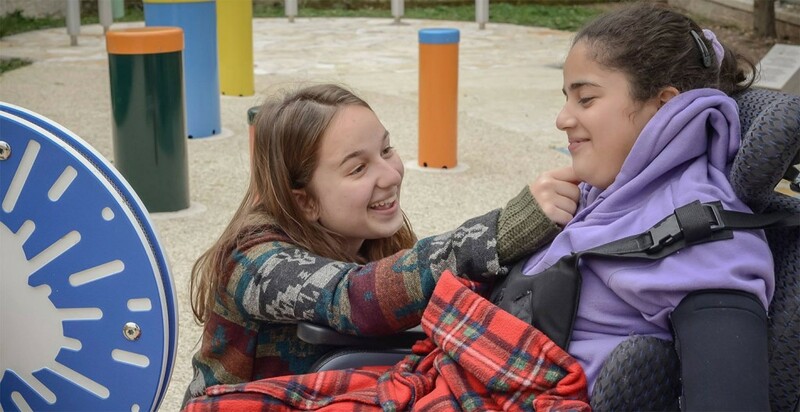 Friendship Circle Central Jerusalem envisions a world in which people with special needs and their families experience acceptance, inclusion, and friendship as contributing members of society. We foresee a future where they never again have to suffer the social isolation that has often been so prevalent in society. Jerusalem Variety Center (JVC) aimed to allow children with special needs and their families equal opportunities in the future, through educational and social activities, and financial support. JVC believes in the right of every child to have access to the most professional tools in helping unleash their talents and abilities and to promote their integration into society as much as possible. For JVC, its operation is a social mission and all its workers do their jobs with dedication, efficiency, and professional expertise in order to fulfill the vision of the center. The Jerusalem Variety Center is a unique institution. It offers treatments and support under one roof to children from the age of 1 year to 21 years, living in Jerusalem and its surrounding area. They accept and treat hundreds of children with special needs together with ordinary children in the Israeli society: Arabs, Jews, Religious and Non-Religious as well. All of them enjoy social and educational activities and share interesting and enriching experiences. KESHER offers a home and a source of hope for the 330,000 children with special needs in Israel and their families. KESHER is unique and innovative; it is the only organization in Israel which focuses on the family of the disabled person – the parents, siblings and wider family, based on the assumption that empowered, involved and motivated parents and family members are the very source of hope and strength for their children. KESHER operates with and for all special families; they strive to illuminate their daily, never-ending dedication and efforts for their special children, and offer them support and backing in their long, complex journey. 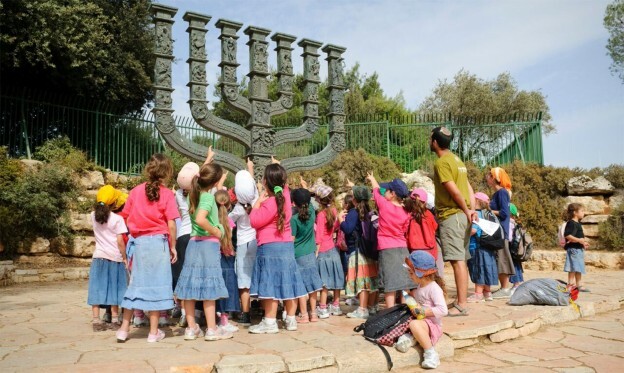 KESHER works cooperatively with many organizations which focus on the handicapped child. Their specialty lies in targeting the child’s immediate circle – parents and family members. By strengthening the family unit, KESHER assists with its success in raising the child with special needs. The target population of ‘special families,’ refers to families in which a child suffers from any disability, from birth through age 21, and in all areas of life. Kfar Rafael is a remedial community located in the south of Israel. 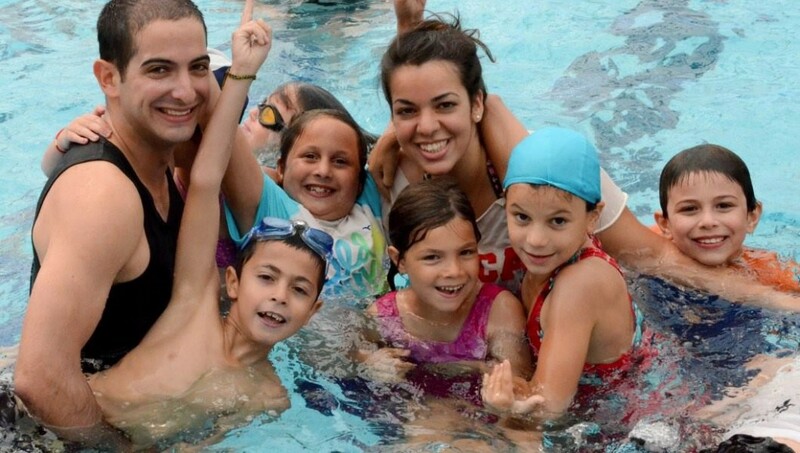 In the community, adults with special needs live together with foster families and their children, as well as young volunteers from both Israel and abroad. The community is centered on the care for the well-being and development of the residents (also known as “villagers”), and aims to serve their complex and changing needs while allowing each individual to integrate into a rich and full social environment. Accolades: More than 95% of Kishorit’s members are in the workforce. Kishorit is a home for life for adults with special needs in the Western Galilee. It is a supportive community that provides a continuum of residential, social and vocational services. Kishorit members live full, independent lives, and mature and grow old with dignity. Being a home for life means being a warm and nurturing home where the members can live for the rest of their lives. They celebrate happy occasions together, share experiences, face difficulties and struggle with common challenges. The Kishorit framework provides the members with a range of residential options, employment opportunities, leisure time activities, private living quarters, medical supervision, nursing care when necessary, and opportunities for integration into the broader community. Kishorit enables the members to achieve their full potentials, despite their disabilities, by providing support for their special physical and cognitive needs. Most importantly, Kishorit provides them with a deep sense of social belonging and full membership in a community. LOTEM – ‘Making Nature Accessible’ was established in 1993 by Amos Ziv following a moving encounter with a group of visually-impaired teenagers hiking in the Israeli countryside. Amos realized that in order to provide these hikers with special needs with the maximum benefit of activities in a rural environment, suitable guidance and more defined trails were essential. Amos enlisted the support of wounded IDF veteran Sorin Herscho, a hero of the 1976 rescue of hostages in Entebbe, who would become the chairman of LOTEM. SHALVA, the Association for Mentally and Physically Challenged Children in Israel, is dedicated to offering high quality care for individuals with disabilities, empowering their families and promoting social inclusion. Non-denominational and free-of-charge, SHALVA’s programs provide care from infancy through adulthood, empowering parents to raise their children with special needs within the family framework. Through twenty-five years of award-winning program development, SHALVA has become an indispensable element of Israel’s cultural skyline. SHEKEL Community Services for People with Special Needs was founded in 1979 by Joint-Israel, the Ministry of Social Affairs, the City of Jerusalem, other local authorities, educators, and professionals to develop services in order to enable people with disabilities to enjoy a better quality of life and integrate naturally in the community. 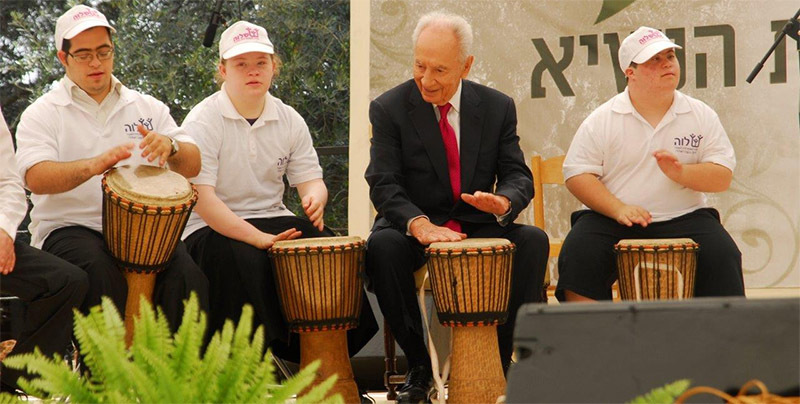 SHEKEL believes that every person has the right to live in the community and it is society’s obligation to provide special services to enable people with disabilities to do so at home, at work and at cultural and leisure activities while ensuring dignity, self-fulfillment and integration in the community as equals. Among SHEKEL’s wide fields of activity are group homes, vocational rehabilitation and cultural and leisure programs (the Si’im Program). SHEKEL also offers accessibility advice and planning, enrichment and rehabilitation programs in special education kindergartens and schools, a trauma center for victims of violence with disabilities and more. Shutaf offers year-round inclusion programs for children and teens with and without special needs: Pesach and August vacation camps; weekly youth groups; Young Leadership Program for Teens; Life Skills Culinary Workshop for teens; and in 2014, IsraelForMe, customized travel to Israel for children with disabilities and their families. What they offer: 10 branches in Israel, which care for over 503 children from six months to seventeen years. Accolades: An average of 30% of their children that leave the Sulam framework are mainstreamed into the normative school systems. Sulam also is the only special needs organization in Israel which provides comprehensive therapeutic frameworks for such a great range of ages and disabilities. Sulam is a recognized non-profit organization for special education in Israel, which was established in 1981. The goal of Sulam is the successful integration of every handicapped individual into the society they inhabit, whether it be the nursery, classroom, workplace or community. Sulam’s philosophy in all of its programs and therapies is that a handicapped child has the same fundamental rights as every other child. Therefore, every disabled child deserves to learn with normative children his own age, in the same education framework. Sulam has pioneered the revolutionary American DIR therapy in Israel. For more information about organizations that provide special needs service in Israel, click here.